So, your computer is dreadfully slow and it has become unbearable to use. No worries, Nerd Herd can easily find a solution to your problem. Typically Viruses, Trojans, Spyware, Malware and other registry modifiers can drastically reduce your computers performance. DFW Nerd Herd Fort Worth Computer Repair can assist you with all of your computer related needs including Virus Removal and Data Recovery. Nerd Herd delivers the best on-site and remote service at the best price in the comfort of your own home. Additionally, our expert technicians provide comprehensive technical assistance and solutions to our clients IT issues. Our mobile technicians are available 24/7 (day or night) and will aid you in resolving your technical issues such as: virus and spyware removal, installation of hardware and peripherals, setting up a secure network, and a host of many other technical issues. Remote assistance is also available 24/7. This applies to most software related issues such as viruses, software installation, registry errors and more. We are able to repair these issues remotely from our offices while you remain in the comfort of your home. No more traveling with your computer and trying to figure out how to hook it back up. We are nerds and we know what we are doing! Most computer problems can be fixed within an hour or two by our expert technicians. We can typically render service same day or next day based on scheduling. 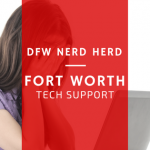 DFW Nerd herd is the fast, reliable, affordable and easiest way to fix all your computer problems. We are open 24/7 and offer the much needed flexibility to accommodate your every need. We are ready to serve you. Give us a call at 817.781.6940 or send us an email. We can send a technician out to you or connect to your system remotely for a diagnosis and/or repair. 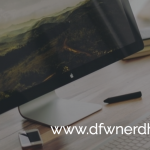 When virus and spyware issues occur, you can rely on the certified technicians from DFW Nerd Herd to deliver prompt, expert computer service on site. 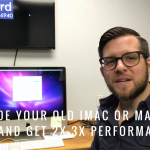 Whether you want to improve your computer’s performance, get rid of annoying pop ups, install a secure wireless network, or just learn how to use your computer more effectively, we can help! One of our technicians will come directly to your home within 24hrs to solve your computer related issues. Call or email us to setup a good time for us to come to you. We are able to solve many problems you may be experiencing with your computer via remote assistance. Give us a call and we will help you establish a connection to one of our techs and we will diagnose and repair the machine if possible. This saves you time, gas and money. Does it seem like your computer runs much slower than what it did when it was new? Does it seem to have a mind of its own? Most likely, your computer suffers from a virus, malware, trojan, spyware or any combination of these ailments. It is pertinent that you have anti-virus software, but even if you do, it is still possible for your computer to become infected. We can repair any of these issues and help you prevent them in the future by installing anti-virus software for you. Do you need a network for your home computers? Networks allow the user to share files, music, video, printers and more through multiple computers. We can hard-wire your network for maximum bandwidth or setup a secure wireless connection for maximum mobility and convenience. Firewalls help protect your computers and network from intruders who may attempt to access your files and personal data. Protect yourself from intruders and identity theft with the help of Nerd Herd. New technology in the computer industry is released on a daily basis and often times this technology is not usable with your current machine. We can assist you with upgrading your computer, weather it is much needed memory, extra storage capacity of a new hard drive or a video card upgrade for that computer game you’ve been staying up all night playing. Nerd Herd has you covered. 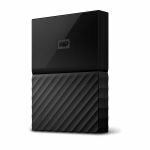 Not only can Nerd Herd help keep your data backed up safely and effectively, we also offer data-recovery services which aid in recovering lost files resulting from hardware failures, software conflicts or viruses. While data recovery is never 100%, we will only charge you if we can successfully recover your data. When was the last time you cleaned the inside of your computer? If it has been more than six months, it is time to schedule a visit with one of our technicians. Dust is extremely harmful to your computer and can cause components to short out and even static damage. Additionally, we can check for updates for your operating system and virus software and ensure that your computer is running at its best. DFW Nerd Herd is a Nest Certified Professional and can help with all of your Nest & Home Automation installation and sales.